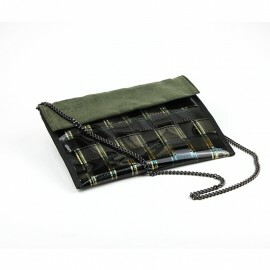 Elegant clutch made of 35mm movie film. 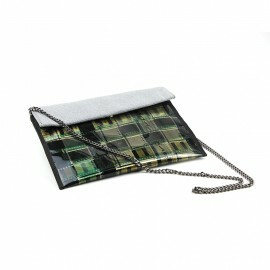 Elegant clutch with a removable chain. Designed and pruduced with a special copyright textile made by weaving 35 mm cinema films. Handmade in Italy.